On 20 December 2015, Jambatan Sultan Abdul Halim Mu'adzam Shah, Penang world-famous second bridge, will open exclusively for a charity cycling event to which all families, cycling enthusiasts and visitors to Penang are warmly invited. The event, organised jointly by Penang State and Jambatan Kedua Sdn. Bhd. and managed by Bicycle Town, will raise much-needed funds for Penang’s Tabung TYT, while also giving cyclists the opportunity to enjoy a breath-taking route that is closed to bicycles for the rest of the year. The Leaf Bike Rental provides high quality bicycles including mountain bike, folding bike, tandem bike, city bike and tricycle at affordable and reasonable prices. Each bike rental is inclusive of a bicycle helmet, single headlights and various security measures to ensure that your riding is safe and protected. To enhance the riding pleasure we will periodically organize cycling trips for Facebook fans on a regular basis with the aim of promoting the places of interest and colorful Penang Island to the public. Many cyclists have given rave reviews to our proposed cycling trips. Jambatan Sultan Abdul Halim Mu'adzam Shah, Penang world-famous second bridge, will open exclusively for a charity cycling event to which all families, cycling enthusiasts and visitors to Penang are warmly invited. The green rice fields west of town are picturesque and well worth a visit. Go west on Jalan Sungau Nipah for access to the rice paddies. 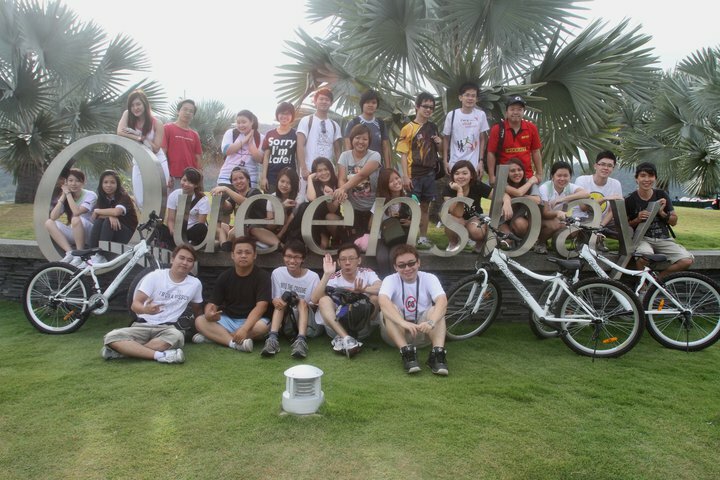 Have you ever cycling from Georgetown to Queensbay early in the morning? Cycling via magnificent Penang Bridge and enchanting coastline, while the sun rises, this would be a very good experience. SHEACY = photoSHoting+EAting+CYcling Re-experience our ancient city!!! GTBikeRental. Awesome Inc. theme. Powered by Blogger.